These Roasted Balsamic and Honey Brussels Sprouts are the only Brussels sprouts recipe you will ever want to make! Perfect as a side dish during the holidays or even a busy weeknight. They are so easy to make! They are roasted at a high temperature until slightly crisp and golden brown. 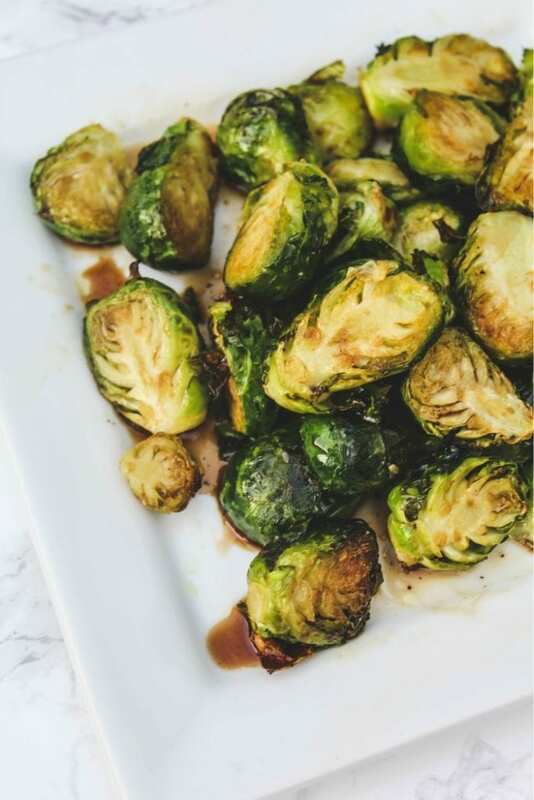 Tossed around in sweet and tart balsamic vinegar and honey make these Brussels sprouts extra delicious! The secret to why they are so addictive is roasting at very high heat and an irresistible sauce! Now I have some family members that will eat Brussels sprouts and some that won’t touch them (hello, Mom!!). For my members that will, they require a little extra sweetness. I’m not saying to dump a 1/2 cup of honey on them. But do adjust the sweetness if you need a little more. I prefer less sweet, but I’m a huge Brussels sprouts fan even without them being sweet. We will be making these tomorrow for Thanksgiving. You could also make them and impress everyone. They’ll wonder what your secret is to making Brussels sprouts so irresistible!! These Roasted Balsamic and Honey Brussels Sprouts are the only Brussels sprouts recipe you will ever want to make! They are roasted at a high temperature until slightly crisp and golden brown. 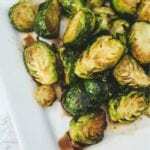 Tossed around in sweet and tart balsamic vinegar and honey make these Brussels sprouts extra delicious! Line a baking sheet with aluminum foil. 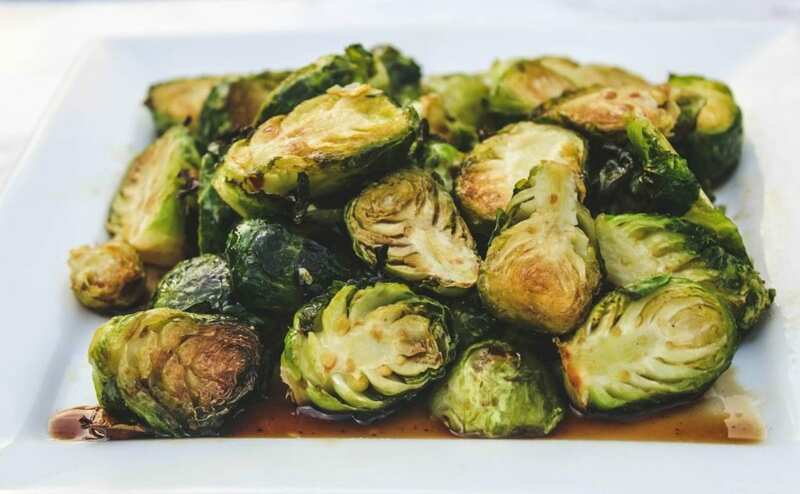 In a large bowl, toss brussels sprouts with 2 tablespoons olive oil, and salt.